When you hear the word ‘habit‘, what else comes to mind? I think for a lot of us, it’s things we consider undesirable habits – thinks like too much caffeine, biting nails, procrastinating, smoking, emotional spending, mindless eating, checking our phones too often or scrolling through social feeds way too late into the night. But when I think a bit more, there are a lot of great, constructive habits too. Things like always having a glass of water nearby, moving our bodies regularly, cooking meals for ourselves, enjoying a cup of tea after dinner, taking desk breaks during the day, and regularly scheduled self-care practices – even if that just means a shower! One of the concepts I’ve been thinking and working with over the last little while is habit stacking. I definitely can’t take credit for coming up with this – stumbling across the work of Steve Scott was my trigger and it turns out many others have written about habit stacking too. 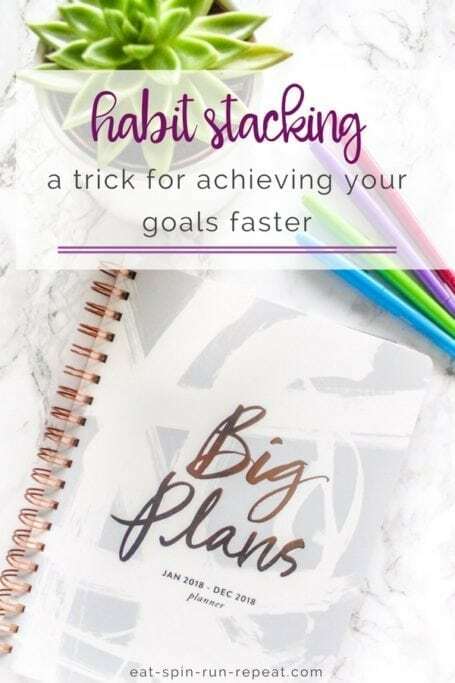 In a nutshell, habit stacking is a way to help you reach your goals by considering all the little actions that could get you there. Once you identify those actions, stack them on to existing habits so they become new habits. Of course, some goals can be really big but when you break them down into habits, they seem way more manageable – maybe even too small to bother with. 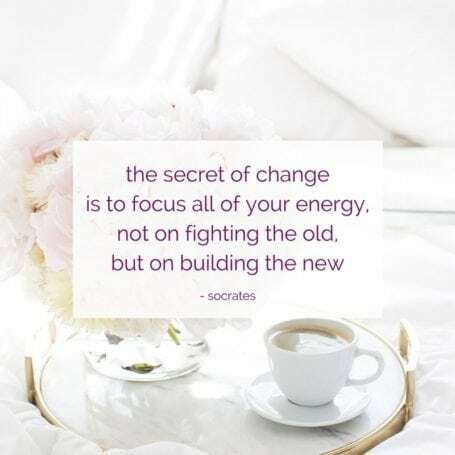 But really, even little actions add up over time to big progress, and by stacking these habits – even those little ones that just take a minute or two – our goals can be much more easily reached. As we know from habits we’ve already developed (good or bad), after a while, they don’t require much thought and sometimes we don’t even clearly remember doing them because we do them on autopilot. By stacking little habits into routines, it decreases the mental effort needed needed to think through how you’re going to get a bazillion little things done. At the same time, looking back on how much you’ve accomplished with these routines can get to be quite impressive, and those small wins can be very motivating. I was thinking about this concept back when setting my goals and intentions for 2018 – particularly the one about meditation and making it a regular practice. In 2017 I developed a consistent habit of listing 3-5 (often more) things I’m thankful for in a gratitude journal every night before bed. In December, one of my goals was to meditate for 5 minutes every day. I’m proud to say it happened, and what I found made it easy to achieve was doing my 5 minutes of meditation immediately after gratitude journalling, right before going to bed. Voila – I was habit stacking and didn’t even realize it! When meal prepping for the week, I listen to a podcast to learn about whatever I feel like learning at the time. When I swish mouthwash or oil pull in the mornings after breakfast, I tidy up my kitchen/bathroom so I don’t have to dedicate more time to it and my space always feels organized. After I’ve finished my gym workouts, I grab a mat and a few stretching toys (rollers, balls, bands etc) and stretch for at least 5 minutes. On Friday mornings before going to yoga in the morning (a consistent habit I developed in 2017), I toss a load of laundry in and take out the garbage on the way to my car. When I’m cooking breakfast every morning, I take my supplements. When I put my jacket on in the morning before work, I pour water and essential oils into my Saje AromaTime. (That’s the white cube in the photo above.) I always pour a calming blend into the west side tank which is scheduled to run at 5pm. 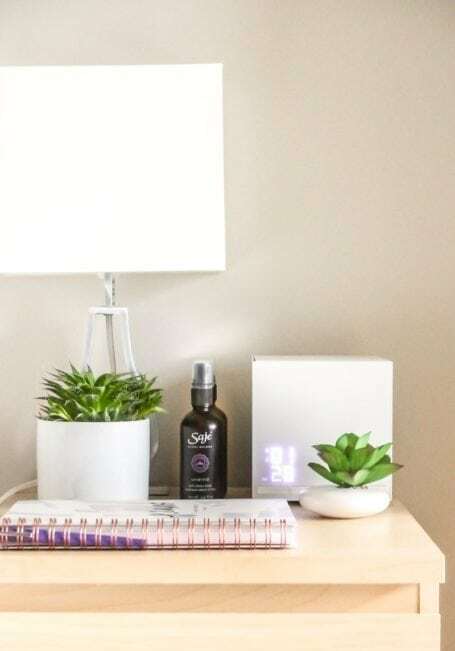 This way, I know that even if I arrive home stressed and tired after work, the apartment will already have soothing oils diffusing away to help me wind down. Before and after meals at home, I enjoy a few bites of kimchi or sauerkraut. These fermented foods are great for digestion, so this habit is kind of like taking a probiotic that’s way more tasty than a capsule. After dinner, the bitter/sourness helps to reset the palate and is one of the fastest ways I’ve found to kill a craving for something sweet. How could you use habit stacking to bring yourself more in line with your intentions, or achieve your goals? I’d love to hear your ideas in the comments below if you’re willing to share. 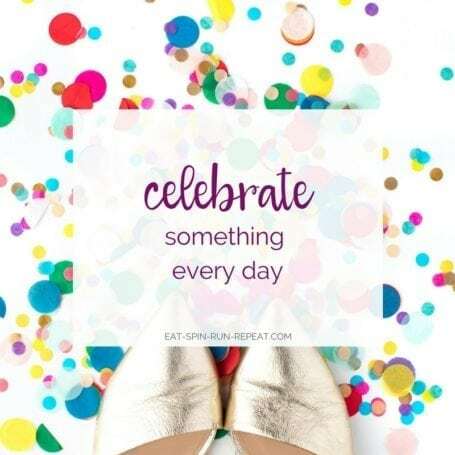 Know that you don’t have to pick just 2 tasks/actions – it can be a few combined together, tacked on to a trigger or habit you’ve already established. The idea is that it’s super manageable, so if the action you need to take is one you figure might need some work, try sticking to 2 for now. Eventually, my plan is to build on my mini stacks as the new-to-me actions become habits. If all goes according to plan, there will be more of that margin of fun time available! This is the best thing I’ll read all week. You unlocked several things for me in this post! I need to reschedule my aromaTime to start earlier I. The evening-great idea! Also you gave me an anchor for journaling-meditation as well as tying oil pulling into bathroom cleaning. My other ones to add are working in dry brushing and standing on the Saje reflexology mat once a day to start! Thank you for sharing such an insightful post! As always, this is so helpful, Ange. It made me think about what I was doing to habit stack and turns out, I have been doing more than I realised! I will be a bit more mindful of this going forward – the biggest one for me is making phone calls or listening to podcasts when I am driving. I hate the idea of wasting time! So very helpful! I find this as confirmation that I am on the right track with how I have been doing things the last few months, thank you! 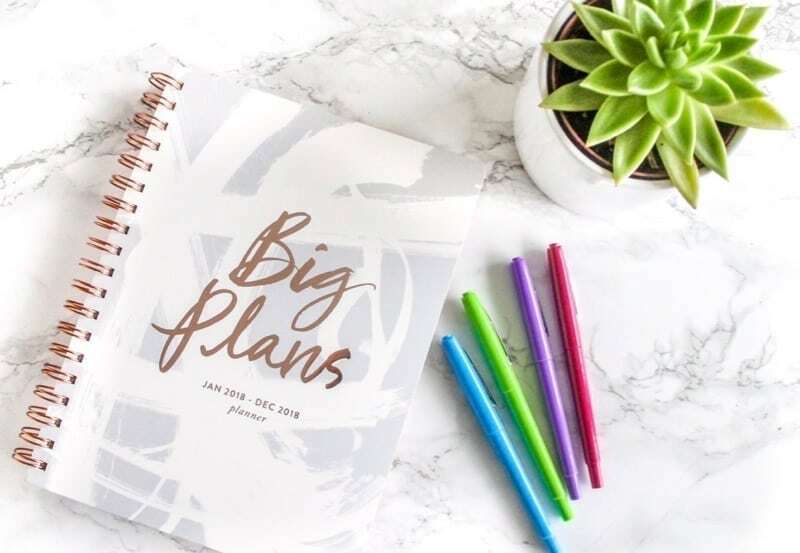 Also, would love to know where you got your “Big Plans” planner from! Thanks Tiffany, and I’m so glad you enjoyed this! The planner is from Homesense/Winners, and I’m pretty sure it was only about $12. I love it!